Autumn is the perfect season to enjoy with loved ones. The crisp air, beautiful fall colours and thanksgiving all bring family and friends together. Are you a caregiver for your aging parents or loved ones? While the day-to-day care is crucial in keeping your elderly loved ones safe and healthy, companionship is what keeps the relationship alive and thriving. It’s the perfect season to take a breath of fresh air and enjoy some quality time with your aging parents or elderly loved ones. We have come up with some activities you could enjoy together this fall as well as a list of safety reminders to follow as the cold season approaches. 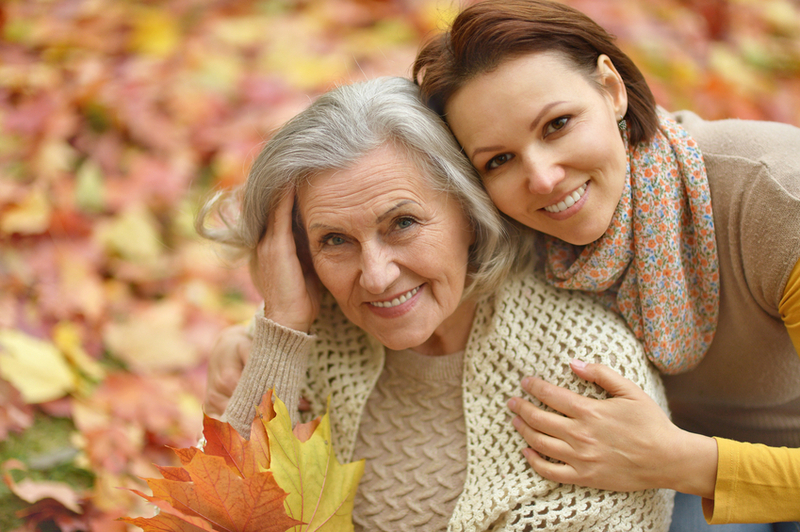 As autumn approaches, we encourage you to use the season’s change as a reminder to safety-check your aging parent’s home and implement preventative measures to keep them safe and healthy. The best way to keep them safe and independent at home is to know where the risks are. Area rugs can be secured with double sided tape. Ensure that there are no loose corners that could bunch up, creating a tripping hazard. Place non-slip mats near sinks and tubs to prevent slippery floors. Use nightlights in hallways and bathrooms. Enlist the help of an occupational therapist to advise on safety supports such as grab bars or extra railings. Autumn roads and sidewalks are covered in leaves and can be slippery, so be sure to clear driveways and walkways. Wear footwear with non-slip soles at all times, inside and out. Check appliances for any damaged or fraying electrical cords. Remind them of the importance of handwashing and the correct process. Schedule a preventative health appointment with a physician. Maintain a nutritious and well-balanced diet. Make time for fresh air and exercise. Knowing you’ve taken necessary safety precautions around the home, you can turn your attention to enjoying this lovely time of year. We encourage you to turn over a new leaf this fall and plan activities for you and your loved ones to enjoy together. Learn to knit together. The rhythmic nature of knitting and weaving can provide meditative health benefits. Projects can be simple and large needles and thick yarns are available for those with less nimble fingers. Knitting can lower heart rate and blood pressure and reduce harmful blood levels of the stress hormone cortisol. And of course, there’s the added benefit of a tangible, finished piece. Read more about the therapeutic benefits of knitting here. Coloring isn’t for kids anymore! There’s a reason why adult coloring books can be found in abundance in bookstores and even on bestsellers’ lists. The benefits of coloring are similar to other mindfulness practices such as yoga and meditation. Coloring can help slow down heart rate and respiration, loosen muscles, and stimulate the brain. Beautiful adult coloring books are available in bookstores and online. Choose colored pencils, crayons, markers, pastels, or a combination. Time spent coloring together will have lasting health and bonding benefits. There’s no better time for a walk in nature than the months of autumn. Collect pinecones and brightly colored leaves to place in arrangement at home. Or take along some binoculars to assist in bird watching. Take digital photographs along the way and choose some to print and display or make into simple cards to give to friends and family. Get out your boxes of old photographs and let the fun begin! Enjoy reminiscing and choosing your favorites. Scrapbooking can be as simple as finding a beautiful photo album and sorting pictures into groups and categories. Take a trip to a hobby store’s scrapbooking section for endless inspiration. Pumpkin and gourd patches are fun for the entire family. This is the time to gather your loved ones, a picnic, and enjoy the crisp autumn air. Often pumpkin patches offer hay rides, corn mazes, and other fall-themed activities. Make a day of it! Aging can be beautiful with the right care, healthy diet, and companionship. We want you to spend quality time with your elderly loved ones this coming season. Don’t let the daily caregiving tasks deter you from spending quality time or taking care of yourself. Bayshore understands these challenges and can help. Let the passionate and well-trained caregivers at Bayshore Home Health help provide personalized home care services so you can enjoy more quality time and continue making new memories with your elderly loved ones.